Saudi Arabia’s Vision 2030 document notes that the path to their future lies in three pillars, i.e., its status as the centre of the Muslim and Arab world; its desire to emerge as a global investment powerhouse and as the epicentre of trade connecting Asia, Europe and Africa. In terms of socio-cultural efforts, it aims to upgrade infrastructure in Mecca and Medina and increase the number of Haj pilgrims from eight million in 2015 to 15 million in 2020, and eventually to 30 million every year by 2030. It also plans to build the largest Islamic Museum in the world and redouble the number of the United Nations Educational, Scientific and Cultural Organization (UNESCO) world heritage sites in Saudi Arabia. The Vision document admitted that the available opportunities in culture and entertainment do not fit with the rising aspirations of its people and the economic structure. 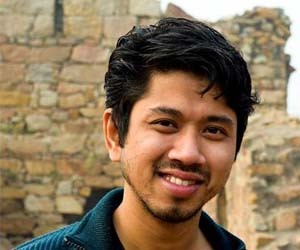 Therefore, new avenues of entertainment and platforms for cultural outreach were also enumerated in the vision in which the household spending for cultural and entertainment activities would be raised from 2.9 per cent to six per cent and more than 450 clubs for entertainment and cultural activities would be created by 2020. Moreover, the government sought to focus its efforts on improving the quality of life by focusing on preventive care and integrating health and social care, modernising social welfare system, providing a better sense of security and achieving environmental sustainability. It seeks to increase the average life expectancy from 74 years to 80 years and improve its position in the social capital index from 26 to 10. It aspires that three Saudi cities would be ranked among the top 100 cities in the world. 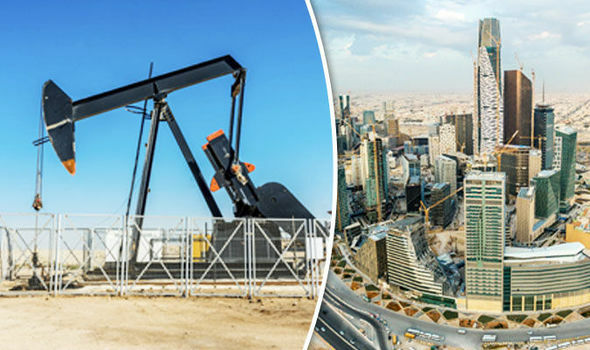 In the economic dimension, oil is admittedly the key pillar for Saudi Arabia’s economy contributing 40 per cent of its Gross Domestic Product (GDP), 90 per cent of its export earnings and 88 per cent of its government revenue. However, oil as a commodity is highly fickle and prone to price fluctuations. It, therefore, sought to diversify the capabilities of the economy and expand investment option to reduce its dependence on oil in future development prospects. The new economic plan relies heavily on liberalisation and privatisation of state-owned assets that would provide new and diverse sources of revenues. These steps according to the document would boost its financial resources and economic stability and would be utilised for future investment. The government has planned to transform Aramco from an oil producing company into an international industrial conglomerate and develop a Public Investment Fund which would endeavour to become the largest sovereign wealth fund in the world. They planned to raise the Investment Fund’s assets from SAR 600 billion to SAR 7 trillion. It would focus on strategic sectors that require intensive capital inputs to establish corporations and new economic sectors. The Saudi vision aspires to become one of the top 15 economies in the world and localise oil and gas sectors from 40 per cent to 75 per cent. It focused on future defence procurement in which 50 per cent of military equipment would be locally produced by 2030. Moreover, it seeks to improve its ranking in the global competitiveness index from 25 to the top 10 position; increase foreign direct investment in GDP from 3.8 percent to 5.7 percent; raise the share of private sector in GDP from 40 percent to 65 percent; improve its ranking in Logistics Performance Index from 49 to 25; increase the share of non-oil exports in non-oil GDP from 16 percent to 50 percent; and raise non-oil government revenue from SAR 163 billion to SAR 1 trillion. In terms of governance, the document highlighted the role played by the government to tackle corruption as well as create strategic food reserves; better use of water; providing its citizens with greater economic security; efficient and speedy decision-making by replacing supreme councils with the Council of Political and Security Affairs and Council of Economic and Development Affairs and overall government restructuring programme. Saudi Arabia wants to raise Government Effectiveness Index from 80 to 20; improve its ranking in E-Government Survey Index from 36 to the top 5 positions; increase household savings from six per cent to 10 per cent of total household income and increase the non-profit sector’s contribution to GDP from less than 1 per cent to 5 per cent. In order to balance the budget, the Saudi government is required to maintain oil prices at US$ 80 per barrel. Presently, the crude oil prices have partially recovered and Saudi Arabia’s crude price is currently in the range of US$ 65.67 to US$ 67.32 per barrel. This is still below the level needed to achieve a balanced budget. Therefore, the dilemma for Saudi Arabia is if it has to maintain this price range, the Kingdom has to cut production, thus affecting overall revenue. The rise in oil price to US$ 70 per barrel has relieved the pressure and helped to reduce the budget deficit. However, the present price leaves little scope to undertake major reforms. Therefore, if the strain continues, the government would have to temper with the sovereign wealth fund to meet with current expenses rather than act to it. While, Saudi Arabia remains the largest exporter among the Organization of the Petroleum Exporting Countries (OPEC) states, its capacity to affect swing production, i.e. raising production to reduce oil prices or reducing production to increase prices, is limited due to its fiscal needs as well as a rise in the share of shell oil in the global market. The domestic economic situation has therefore complicated the diversification plans. At the present stage, the ambitious plan to diversify the economy is suffering from roadblocks arising from a number of internal and external factors such as the death of Khashoggi, continuing suppression of political activism within the Kingdom, arrests of political and human rights activists, Saudi Arabia’s protracted involvement in Yemen and government purge leading to the arrests of members of the royal family, ministers and officials in November 2017. The Saudi policy reflects an approach driven by economic reforms without sincere socio-political initiatives. The lack of firm socio-political initiatives is likely to affect in long-term economic interests of the Kingdom. Business Standard. “Saudi Aramco to decide in first half on financing SABIC buy – CEO.” Business Standard. February 20, 2019. Accessed March 15, 2019. Human Rights Watch. “Prominent Saudi Women Activists Arrested.” Human Rights Watch. August 1, 2018. Accessed March 14, 2019. Will International Oil Prices Continue to be Volatile?